During the years 1973-1977 while I was an undergraduate student at Morgan State University, Mr. Al Jarreau was seemingly a fixture on campus. It seemed that every year he was featured as the main headliner performing at Murphy Auditorium. Mr. Jarreau definitely visited many HBCU campuses across the country. However, whenever he visited Morgan State University he always put forth a truly remarkable performance. He never gave less than his best when he visited Morgan State. I remember meeting Mr. Jarreau backstage a couple of times and he always spoke of the black brilliance that was our historically black college students. Mr. Jarreau's musical genius encouraged thought and conscious enlightenment for those who were his fans. His voice was indeed the perfect instrument to partner with any musical instrument that produced sound. His scats were, in essence, a constant reflection of imagination as well as his creativity. When Al sang his message was indeed the music and his voice was the winged bird taking that music to its highest heights. As I said I was lucky enough to meet him on a couple of occasions. We as young black students were mesmerized with Brother Jarreau's complex talent, his vocal range, his incredible and gifted lyrical talents. That's why we could see Mr. Jarreau each and every year because he bought something new and creative with each of his visits to our campus. Last year on February 12, 2017, Mr. Jarreau passed on to ancestral glory. That distinctive voice now will be shared with those the coming generations. I thank GOD that God allowed me to be in the presence of musical genius just for just a little while. 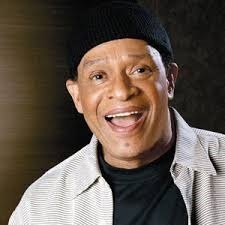 Whenever I needed a little uplift in my spirits I simply put on Al Jarreau and reflected on the possibilities of life. Today as I said one year ago, Rest In Peace. Mr. Al Jarreau. 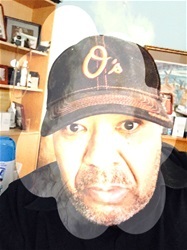 Sir this my written tribute to someone whom I looked to as an older brother and friend. You see once you met Al Jarreau, you almost instantly became Brother Jarreau's lifelong friend.